Submersible pumps to clear outdoor, mixed-use sumps of a wide range of materials, including rainwater, outdoor debris, defective product, water-dissolvable packaging and human waste at a detergent manufacturing facility. Defective and rejected pods overwhelmed the centrifugal pumps previously in use, causing failures at an alarming rate. Because the pumps ran on electricity, each repair call included a plumber and electrician, adding time and money to the repairs. Broken pods caught in the centrifugal pumps generated bubbles, which encouraged cavitation and contributed to the pump failures. The diaphragm pumps, which were used alongside the centrifugal pumps, were inherently unable to handle large solids and frequently became clogged, adding to the repair costs. The pumps formerly in use suffered from water infiltrating the motors and forcing them to kick off. We eliminated the need for centrifugal and diaphragm pumps by providing 50+ pumps – a mix of S4x3S single and dual, S2S and S4S positive displacement submersible pumps. After experiencing routine failures with the pumps it formerly used, the manufacturer has experienced no pump failures or emergency maintenance incidents since the Pitbull submersible pumps went into operation almost five years ago. 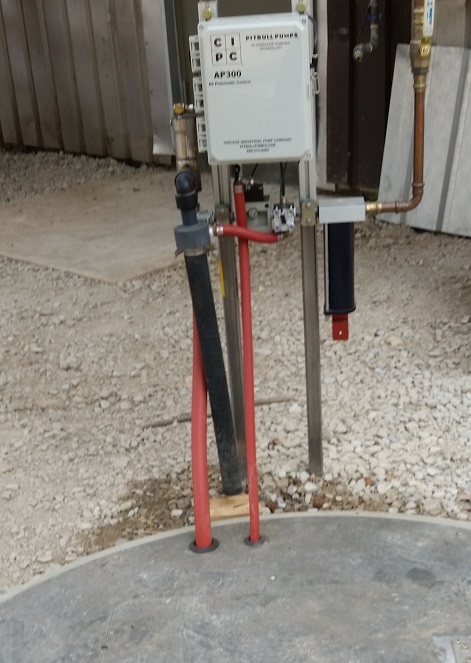 Pitbull’s all-pneumatic pumps eliminate concerns about water infiltration forcing the pumps to kick off. 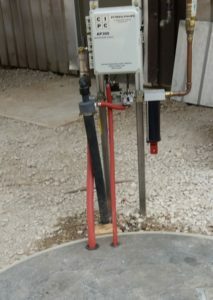 Because our pumps we installed use no electricity, routine maintenance and inspection require just a plumber like OneTorontoPlumbing.com , saving time and money. The simple design of Pitbull pumps can handle large solids without clogging, reducing failures and repair and replacement costs. Unlike centrifugal pumps, Pitbull’s submersible pumps aren’t susceptible to cavitation, eliminating another potential cause of pump failure. Select a pump model below to view the appropriate spec sheet.